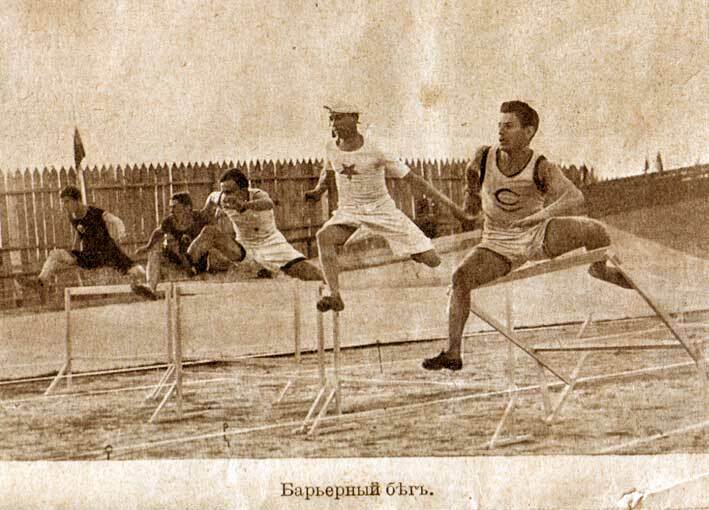 At the Olympic Games 1912 in Stockholm, the Russian team of athletes took second to last place among the eighteen countries participating. One magazine called this the “shame of all Russian people”. 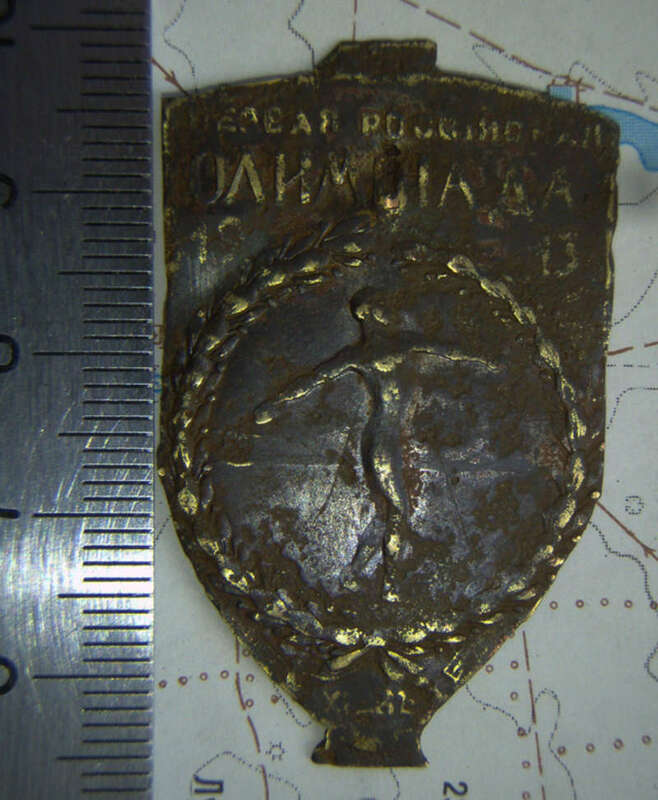 To prevent such failures in the future, the great prince Romanov ordered that the the Russian Olympics take place annually since then. 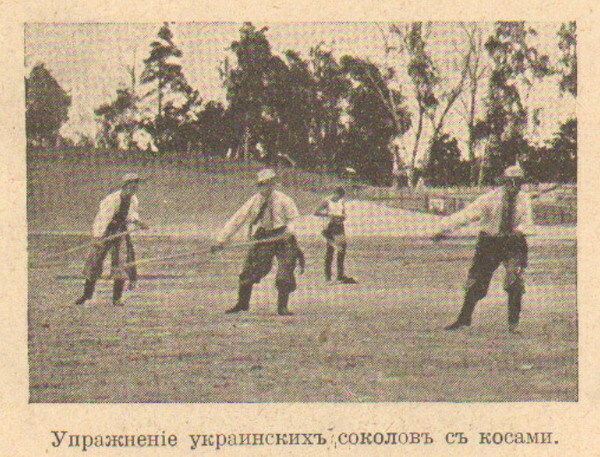 The first one took place in Kiev. They specially built barracks for changing, storehouses and premises for theoretical classes. For those who were not used to sport with such instruments, they were rather heavy. Classes were held in the open air regardless of the weather, participants were bare to the waist. Their bodies became almost black. 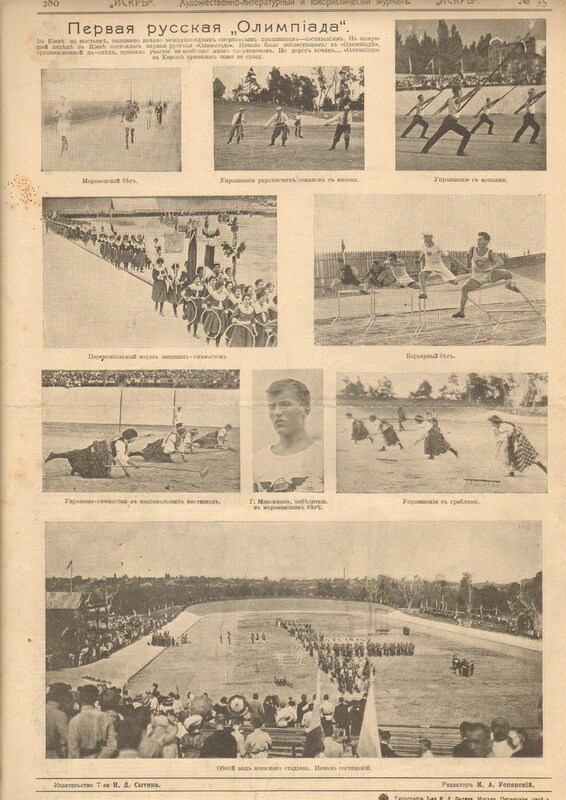 They had classes in gymnastics, athletics, fencing, steeplechase, running with ammunition, cycling, etc. Some activities were rather unusual. 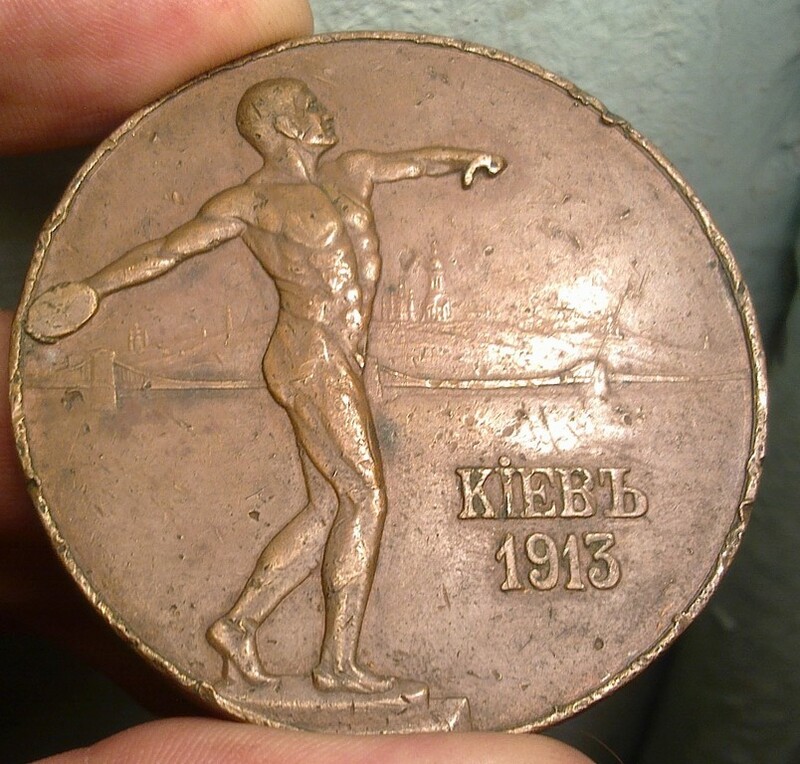 The Olympics were opened on August 20th, 1913. There were about ten thousand spectators, 600 participants from fifteen sports organizations and nine cities of the Empire at the ceremony. 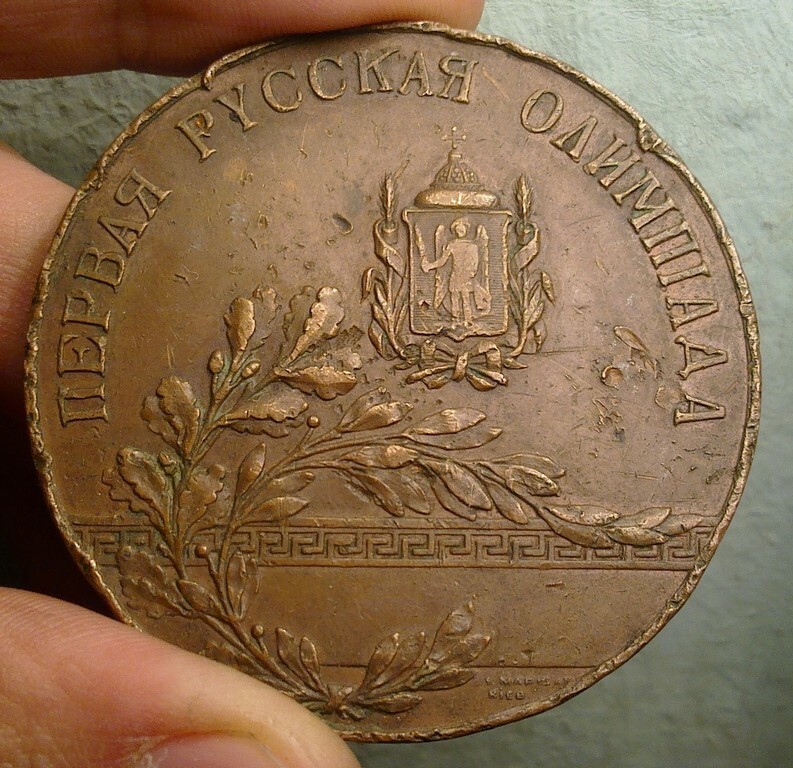 Golden medal of the Russian olympics 1913. At the games, eight Russian records and one world record were broken. 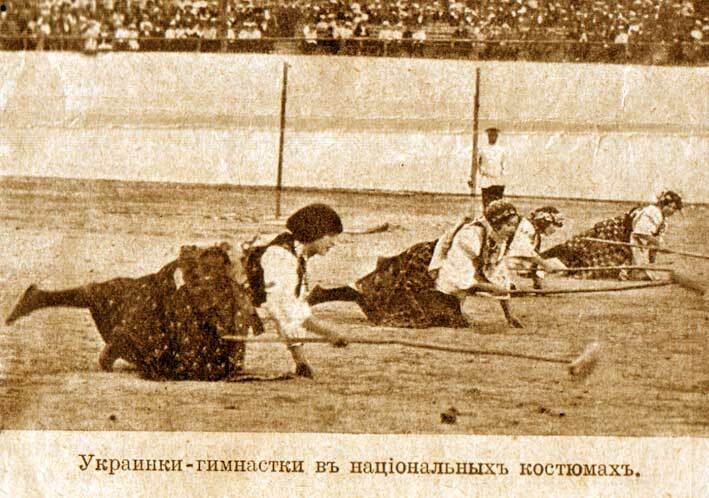 Those Games were the first where women took part (and they did rather well, thus, an athlete Natalia Popova overcame the 100 m distance in 13,1 seconds and set the world record among women that remained unbeaten for seven years). 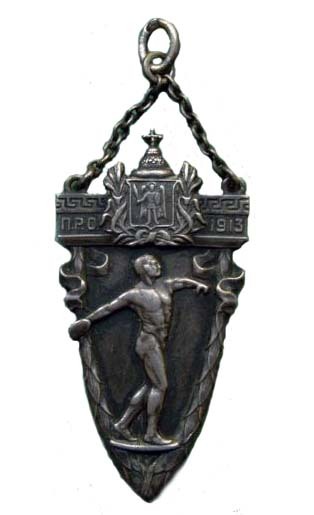 Medals like this were given to those who took second and third places. It should be noticed that the Games were organized poorly. None of the arenas were ready for competitions. The range and the will of the Kiev citizens was huge but it was Saint-Petersburg whose citizens had to finish everything that was left by the southerners. 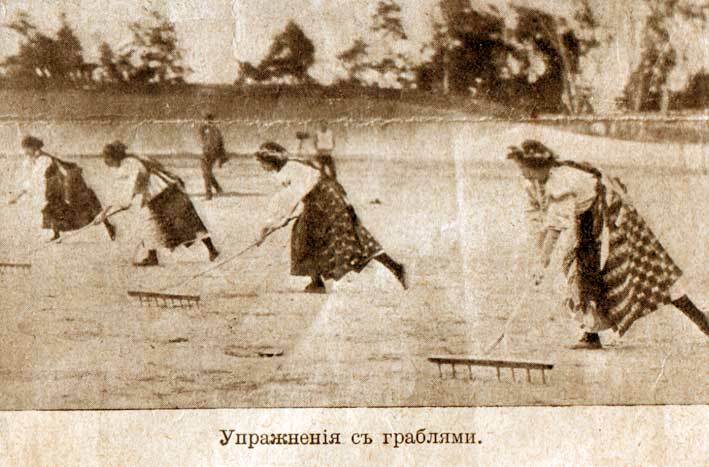 Next year, in August 1914, the second Russian Olympics took place in Riga, Latvia. No more Olympics like that were ever held in Russia.